Anna-Maria Shannon is the Associate Director for the Jordan Schnitzer Museum of Art at Washington State University. She has been part of the Museum/Washington State University team for over 21-years and recently led a 15-million dollar campaign for WSU. 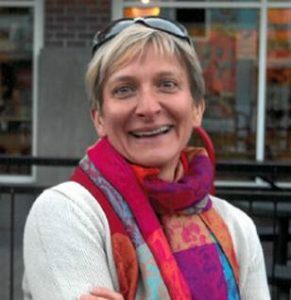 Anna-Maria has a bachelor’s degree in Art History from the University of Puget Sound (’93), Tacoma, Washington and a Master’s in Design from Washington State University (’05), Pullman, Washington. She serves on various boards and committee both on campus and within the town of Pullman, WA, where she lives happily (in her garden) with her husband, two sons and mother.